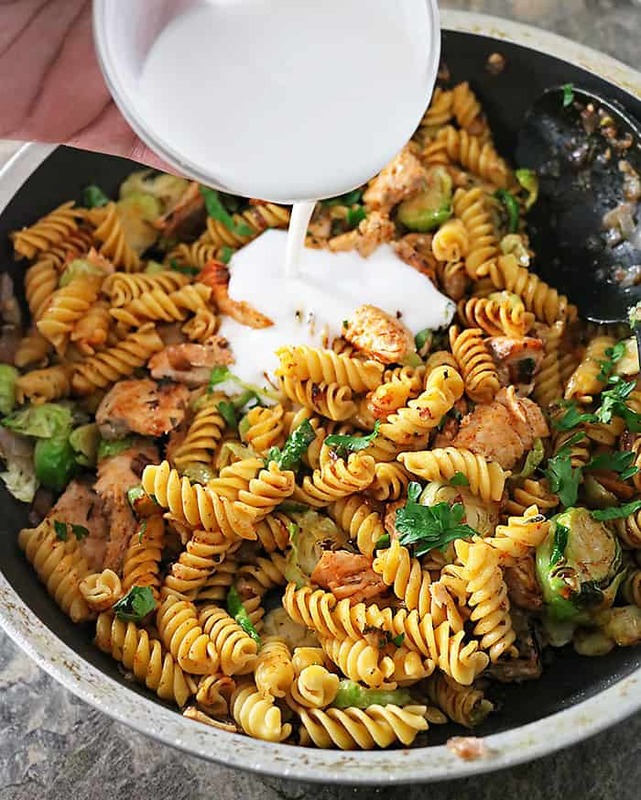 This cravalicious, creamy combination of heart healthy salmon and brussels sprouts along with garlic, smoked paprika, parsley, tarragon and coconut milk makes for a quick, easy and delicious meal – especially on busy weeknights! Many, many years ago when I was a sophomore in college, I used to work in a restaurant that made a name for itself by feeding it’s patrons salads, soups and the like. Back in those days (yes, I am old), it was the only one of its kind and it had quite the fan base. When you stepped inside this restaurant, you’d see that its four corners were flanked with a soup station, a muffin/bread station, a dessert station and a fresh pasta station. At the heart of this restaurant was a ginormous salad bar with greens, fresh veggies, crunchy toppings and pasta salads galore! 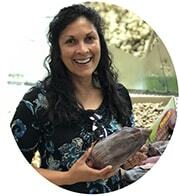 On those mornings when I helped open, I would join my manager and fellow coworkers in my favorite task of tasting the items on the salad bar to make sure they were all good. At was during one of these tastings that I happened upon THE Tuna Tarragon! Creamy and all sorts of dreamy, this cravalicious concoction of mostly heavy cream, tuna, pasta, tarragon and capers left me speechless! Back in those days when I was a young whippersnapper, I enjoyed one too many servings of that tuna tarragon. Now that I am older and witnessed my dad battle heart disease for many years, I try to make more balanced, heart healthy choices. 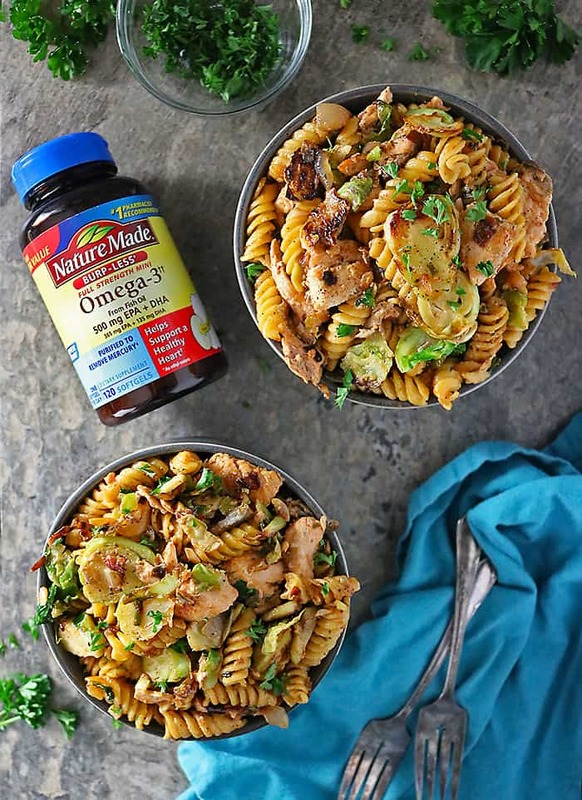 So, I make and enjoy Salmon Tarragon Pasta, workout, drink plenty of water and take supplements like Nature Made® Omega-3 500mg EPA+DHA, Burpless to help support a heathy heart †​ ~ you can pick these supplements up from your local Walmart store. 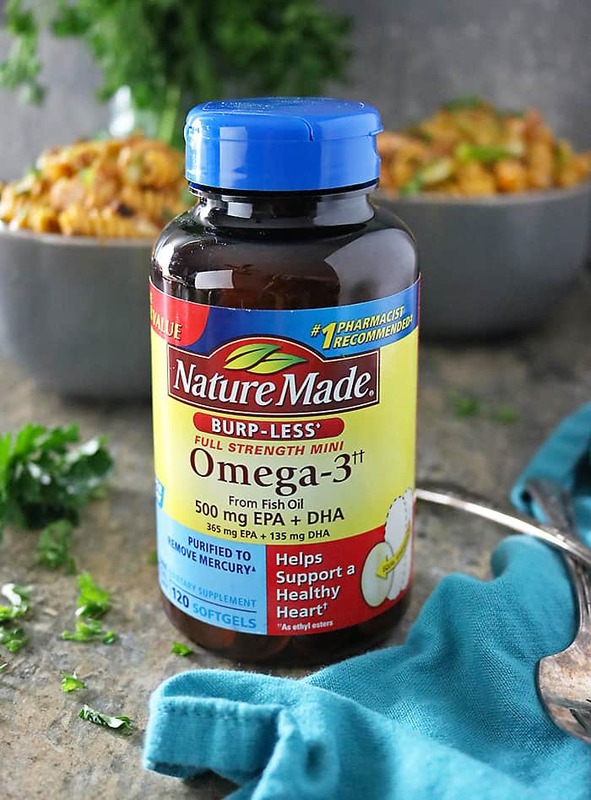 The two primary Omega-3 fatty acids found in fish oil are EPA and DHA, which are the active ingredients in fish oil that provide heart healthy benefits.† Now at Walmart, Nature Made® Omega-3 supplements clearly call out the amount of EPA & DHA Omega-3s on the front of the label. 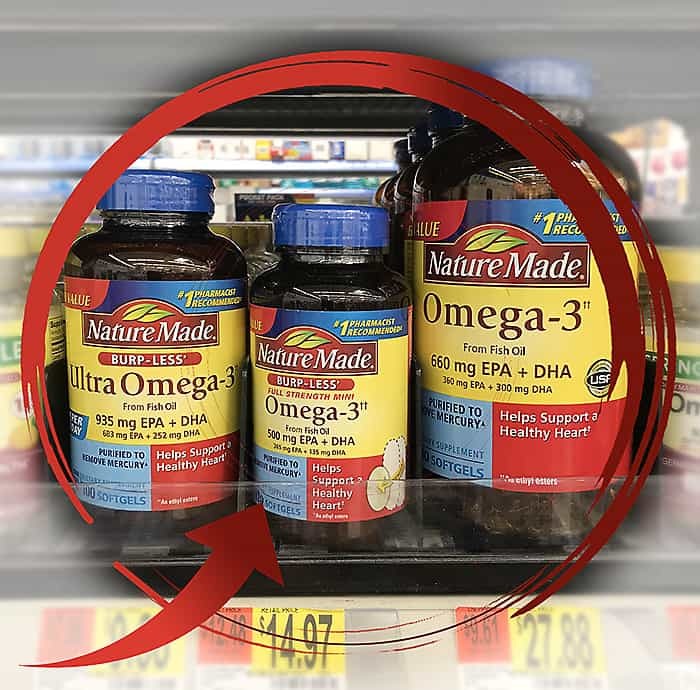 ​With this change in labels, Walmart is trying to make it easier for shoppers like you and me to navigate the “fish oil” segment and to ensure that we are confident we’ve found the right Omega-3 supplement. They also have “burp-less” Omega-3 supplements, which are coated to prevent fishy odor and aftertaste. Wondering How Much EPA & DHA Do You Need? Heart health experts recommend consuming two servings of fatty fish per week for healthy adults. This equates to approximately 500 mg of EPA + DHA per day.1-2,‡ Myself, along with most people don’t consume this much. What’s the Best Omega-3 Supplement for You? You may want to discuss that with your healthcare professional, especially if you have heart concerns. Nature Made® Omega-3 supplements at Walmart make it easy to meet the recommended dose in as little as one softgel per day, depending on the formula you choose; they’re a great supplement option for healthy adults looking to help support a healthy heart.† You can text OMEGA to 555888 to check out a quick video for more information. 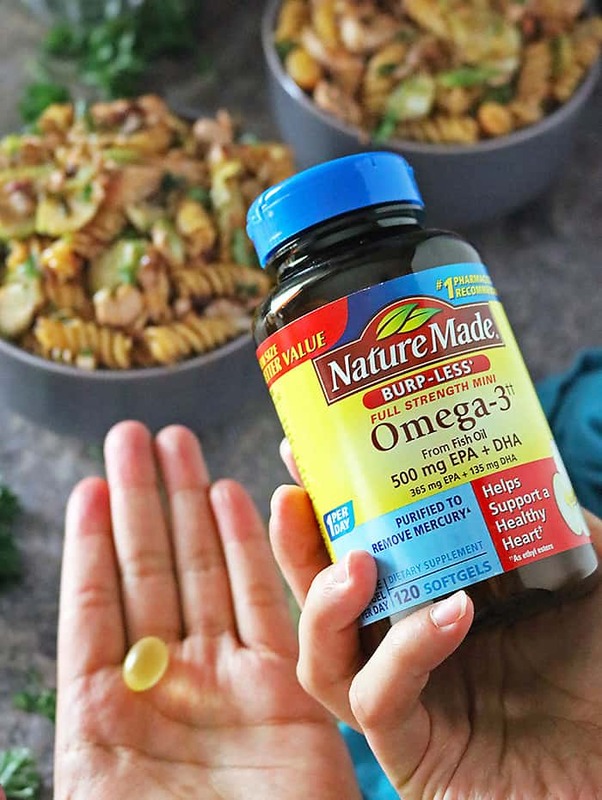 If you are looking for even more info on Nature Made® supplements from Walmart, then make sure to follow them on Facebook, Youtube, Instagram and Twitter. I like to sauté onions, garlic, smoked paprika, parsley and dried tarragon to flavor this gluten free pasta dish. I also throw in a huge handful of sliced brussels sprouts to amp up the heart healthy factor of this dish. I opt to use just a bit of coconut milk, which adds some creaminess. However, if coconut milk isn’t your favorite, then you could add any milk of your choice, but I must say that with all the flavorings in this dish, you hardly taste the coconut flavor. 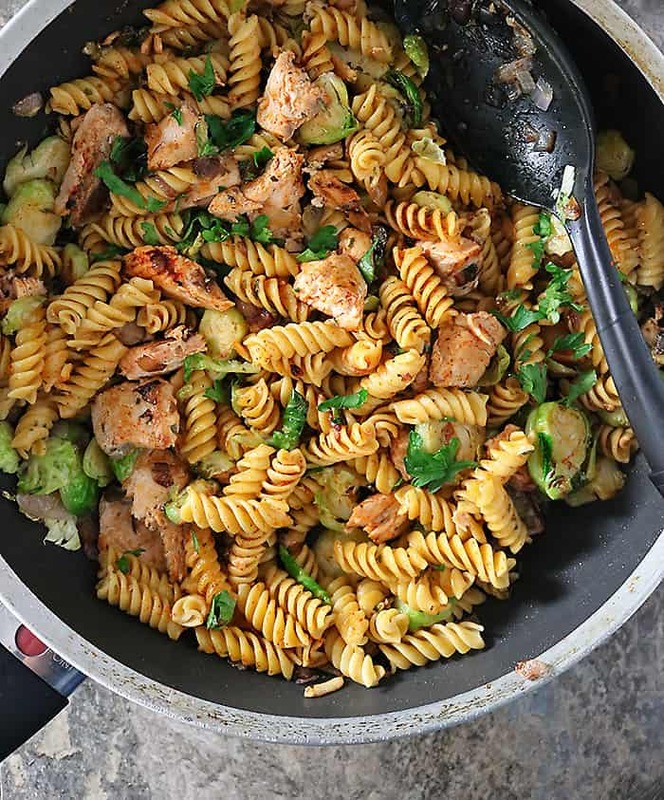 My daughter and I enjoy this Salmon Tarragon Pasta quite often in our home. 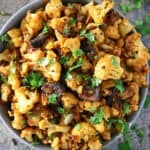 It is super easy to whip up and not to mention, super fast to prep and make too ~ making it an ideal, heart healthy, one-pan, dish for busy weeknights. 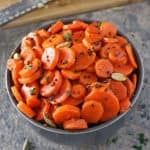 I sure hope you give this heart healthy recipe a try soon! 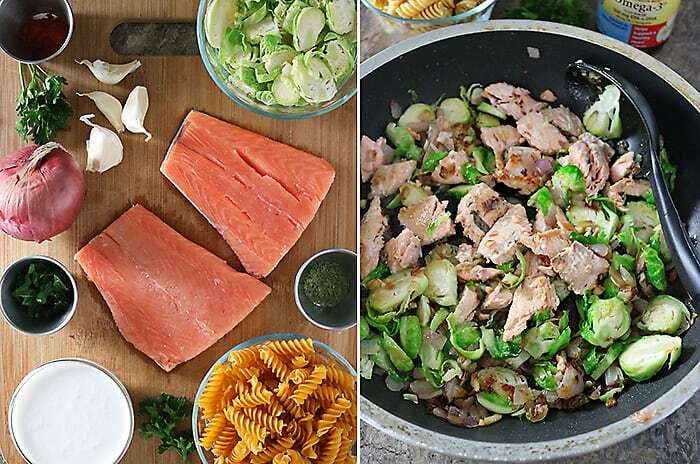 This cravaliciously creamy combination of heart healthy salmon and Brussels sprouts along with ginger, garlic, smoked paprika, parsley, tarragon and coconut milk makes for a quick, easy and delicious meal – especially on busy weeknights! Peel and dice the red onion and garlic. Also, chop the brussels sprouts. Add oil to a pan over medium heat and toss in the onions and let saute about 5 minutes, stirring occasionally. Then add in the garlic and saute a minute. Add in the Brussel Sprouts and saute another five minutes. As Brussel Sprouts are sauteing, prepare pasta. As I used chickpea pasta it cooked in 5 minutes. Drain pasta and set aside. Add in the salmon fillets and flake gently with a spoon as they cook, sauteing the fillets about 5 more minutes. Then toss in the pasta and tarragon, parsley, and smoked paprika into the pan and stir well. Add in the coconut milk and stir about 2-3 minutes. 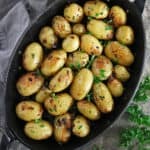 Remove from heat, garnish with more fresh parsley and serve warm. I’m such a pasta fan – especially with salmon – and this looks absolutely delicious. The perfect comfort food. I had tarragon for the first time a few years back and just fell in love with it. The flavor is amazing. I’ll bet it’s awesome in recipe! What a wonderful recipe. We love pasta dishes and salmon is our number one protein, so this is perfect. We’re very familiar with Nature Made Omega 3. I’ve been taking them for a few years now. Can’t find Nature Made here but I’m still taking a daily supplement. 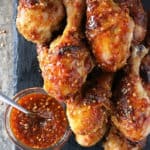 I’m looking forward to trying your recipe and will soon. Your pictures really highlight this salmon tarragon pasta. I love seafood in my pasta but you have out done yourself with all the other flavorful ingredients as well. 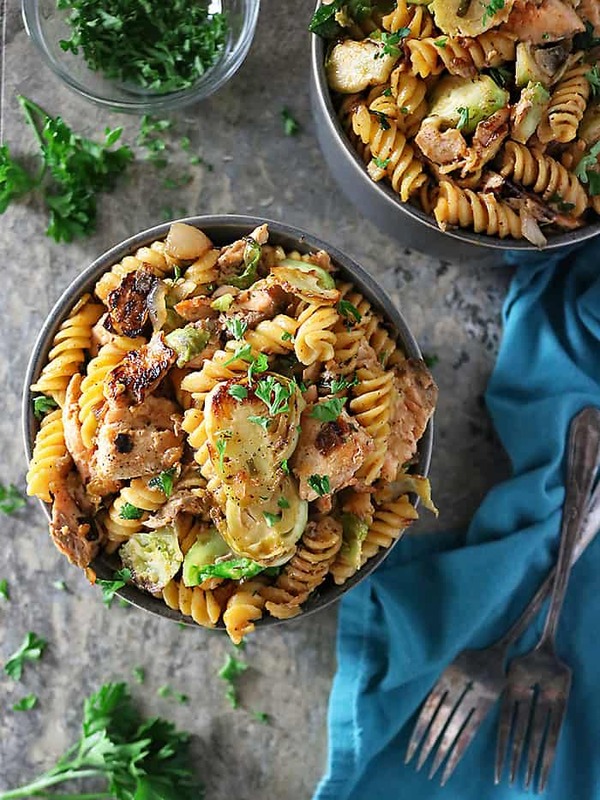 This sounds absolutely flavorful and like a great way to change up the normal pasta dinner routine. I love tarragon but don’t use it nearly enough! 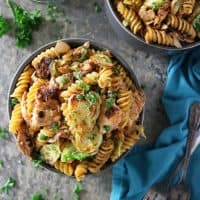 It sounds perfect in this salmon pasta! What a fantastic pasta dish! This year I didn’t grow any tarragon…have to get some from the market this week! You know something? I don’t use tarragon very often at all…and I have no idea why not. I enjoy the flavor, but it just never registers on my radar. I need to use tarragon more. And I need to make this salmon + pasta recipe! Pasta is one my favorite comfort foods, and I love how you’ve taken it up a notch with the tarragon salmon. Also, great advice about the Nature Maid. We take several of their supplements! Tarragon is one of those herbs that I had no idea how much I loved until I had it. Then it’s an eye opener. 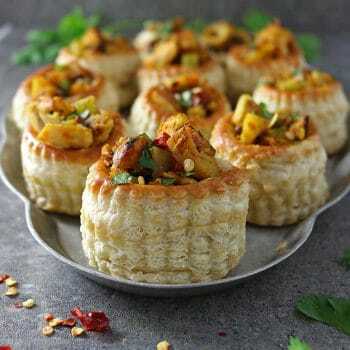 Looks like a lovely dish. I could eat salmon on cardboard so the pasta is an easy win! I’ve never paired salmon and tarragon together and I love both. Plus, our garden is overflowing with tarragon so this would be a delicious way to use some of it 🙂 Love the scent/flavour. Gotta check out those supplements – they sound great 🙂 !! Shashi, this is lovely. We are huge fans of salmon! I think I might add spinach instead of the Brussel Sprouts if that’s OK with you. But I know that salmon and tarragon go together and in a pasta dish, yum! I just discovered tarragon and love it. 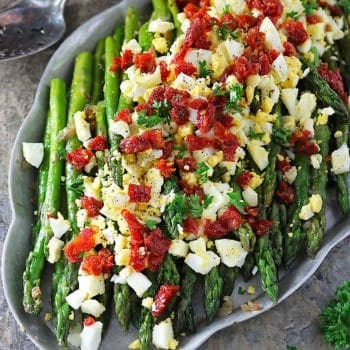 Can’t wait to make this dish.